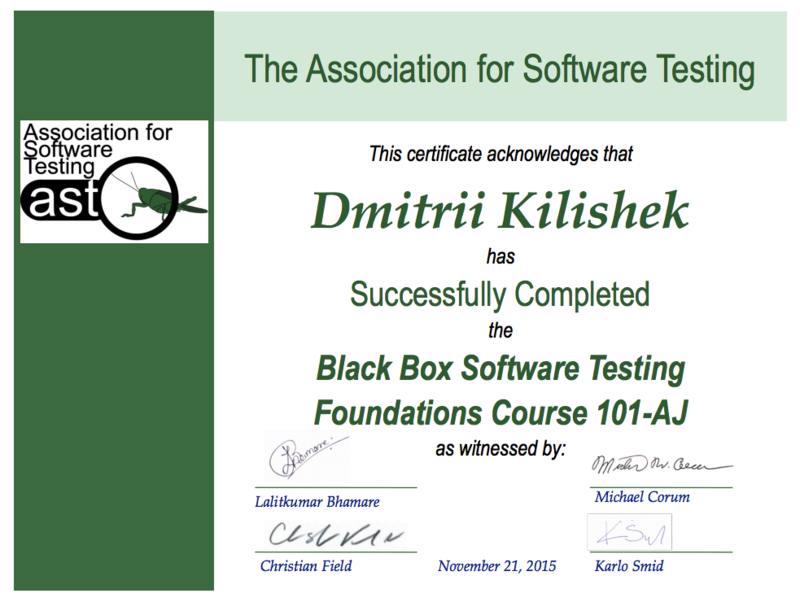 Thanks to AST, my instructors and fellow participants! That was I great month with BBST Foundations and I think I won’t forget it. It was fun and challenging! Hooray! So, what’s coming up next? I think I should try the next course: BBST Bug Advocacy, it starts in the Spring 2016.